Restored 1973 Honda CB750 Motorcycle. This Honda was carefully rebuilt over two years. The engine was re-bored and fitted with new pistons and rings. New valve seats were professionally installed. The primary and cam chain tensioners were replaced. The engine was aqua-blasted and the cases were repainted. 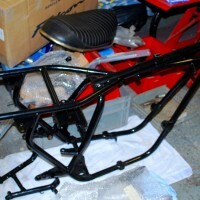 The frame, swing arm and battery box were powder coated. The carburettors were completely stripped, cleaned and rebuilt. 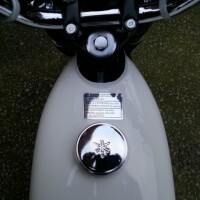 The original Nippon Denso speedo and rev counter were stripped and refurbished with new faces, glass and dampers. Most of the electrics were replaced with new items including a complete harness, pilot light harness, ignition coils, ignition switch, fuses and fuse box, battery, replacement regulator / rectifier unit, electronic ignition and a starter solenoid. 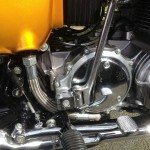 Both LH and RH handlebar switches were replaced with new items as were the throttle cable and clutch cable. The bike also had a new clutch pack, rear brake shoes, swing arm bushes, front brake master cylinder rebuild and a new set of Avon Roadriders. 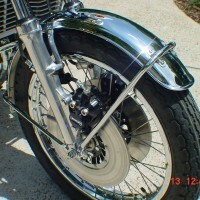 The oil lines were uprated to stainless items by Earls of Silverstone. In addition countless fasteners, gaskets and those little rubber parts that go crispy with age were replaced. 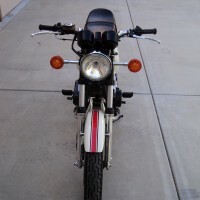 A very nice restored Honda CB750 Motorcycle. 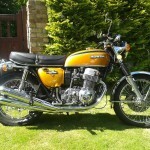 Honda CB750 – 1973 For Sale or Wanted? 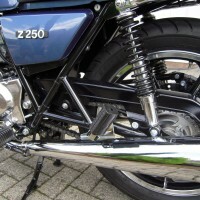 If you're looking for the perfect Honda CB750 – 1973 for sale then take a look at the hundreds of restored classic motorcycles listed on our extensive Motorcycles For Sale pages. 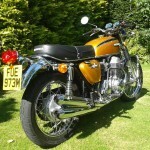 We regularly feature very nice restored Honda CB750 – 1973 bikes for sale. 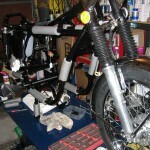 Spares and Parts for your Honda CB750 – 1973? 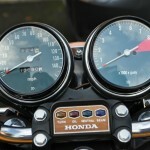 Workshop Manual for your Honda CB750 – 1973?